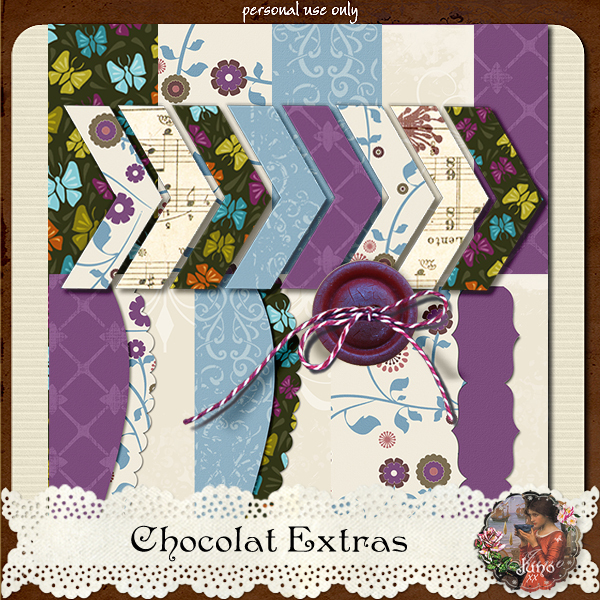 Having FUN with colour 🙂 I enjoyed working with the Chocolat palette but also decided to see what complementary colours would be good to add to it. So I visited Adobe Kuler (see link in my sidebar under Resources) and entered the milk chocolate colour from Chilled Neutrals as my Base. The base colour in the Kuler interface is the centre one with the little white triangle. 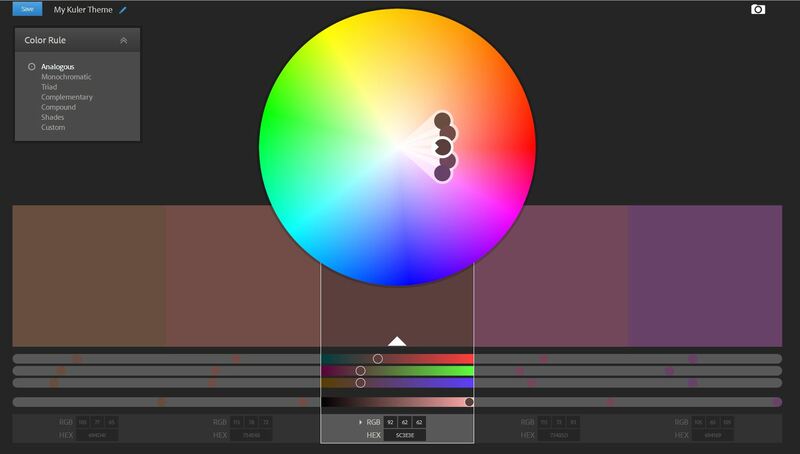 You can add colour values in RGB or HTML and choose from seven colour scheme variations in the colour wheel. I chose Triadic and Analagous because they gave the prettiest contrasts. Kuler is an amazing, free service. You can build colour schemes, as I did above, and you can also browse and share in the forum. You can search colour schemes by color, concept, hex values and tags. There’s even a free app for your iPhone that allows you to point the iPhone camera at something colorful and Kuler will instantly extract a palette for you. The only possible drawback, in my view, is that the registration process is quite extensive. To me it’s well worth it to have such an awesome toy to play with, and if you also have an Adobe ID you can download your favourite swatches as ase (Adobe Swatch Exchange) files to import directly into Photoshop, Illustrator and InDesign. If it’s too much hassle to register for Kuler, there are similar services available of course. 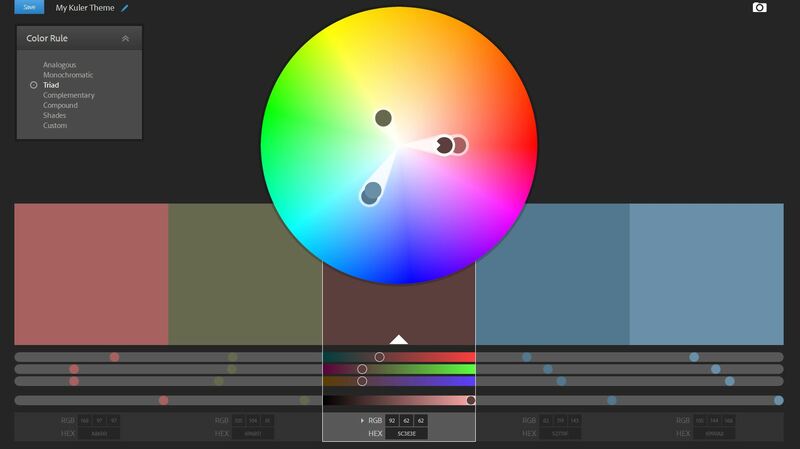 Two of my favourites are Color Scheme Generator and COLOURlovers. The links for these are also in my sidebar. Nice! Thank you – Each gift of a new kit makes me think, “This is her best yet,” but then, you give a new kit, and i think – “This one is the best one yet;” but when i look at my stash of your kits i realize that just like trying to choose between my children, i couldn’t choose a favorite! Thank you – i always enjoy using your designs.